If you're looking for a unique and memorable way to celebrate a special occasion such as a birthday, proposal, gender reveal or anniversary, then we can help! 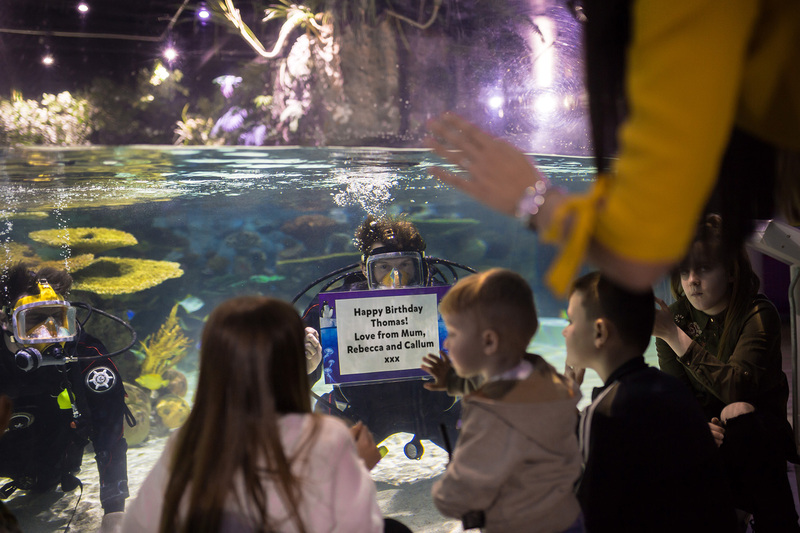 For just £25, visitors can enjoy a personalised sign with your chosen words (maximum 15 words) in our daily dive show or within our penguin exhibit. 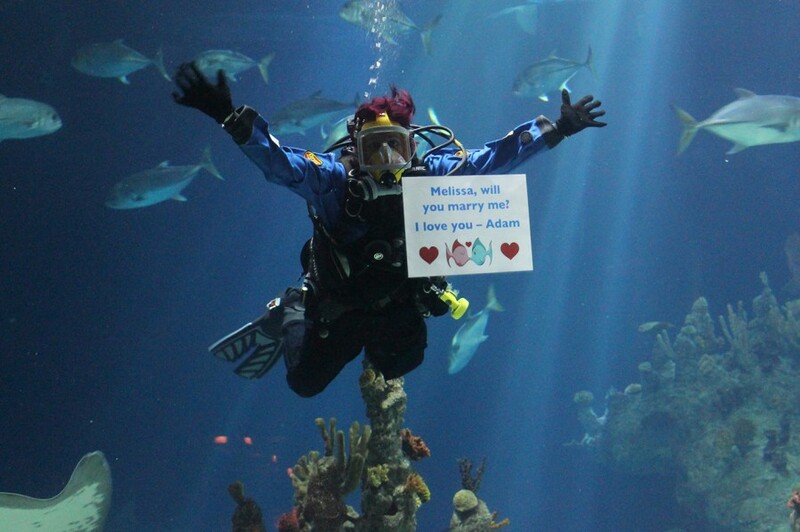 If you choose a dive sign, our divers will reveal your sign at 2pm. 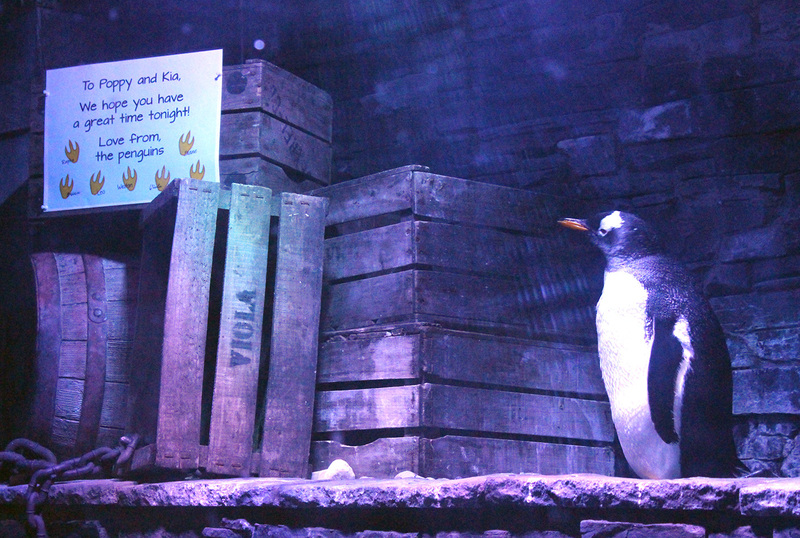 Alternatively, the penguin exhibit sign will be positioned at 8:30am and remain in place until 3:30pm on your chosen date. One sign is available in each location per day. Please note - the location of the daily dive show changes throughout the week. Monday to Friday it will be shown in Endless Ocean, Saturday will be the Lagoon of Light and Sunday is the Amazon Flooded Forest. All bookings must be made 4 days in advance.